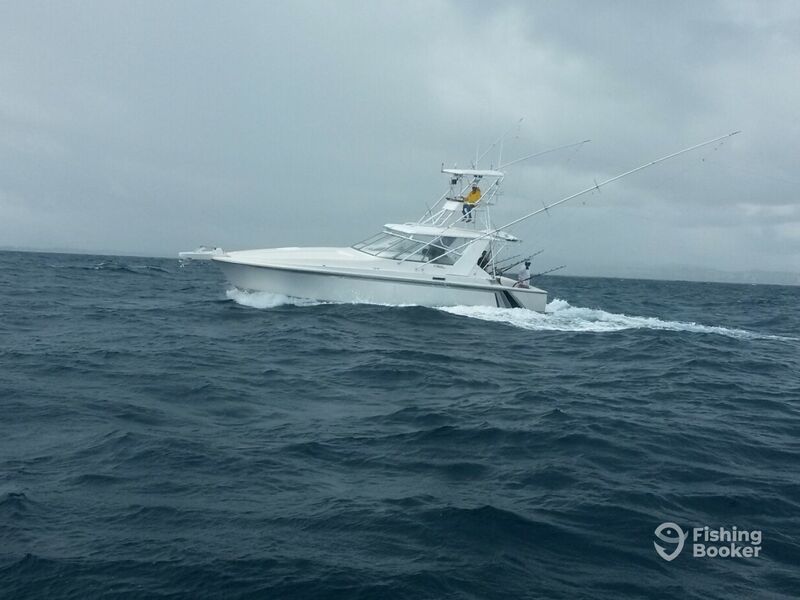 Double Hook is a 37’ vessel equipped with diesel engines, with a maximum capacity of 6 fishermen. The boat is air-conditioned and outfitted with a full head, and comes equipped with a standard range of navigational electronics. Double Hook is a tournament-ready vessel complete with a fighting chair on board, ready for any fish that won’t give up without a fight. 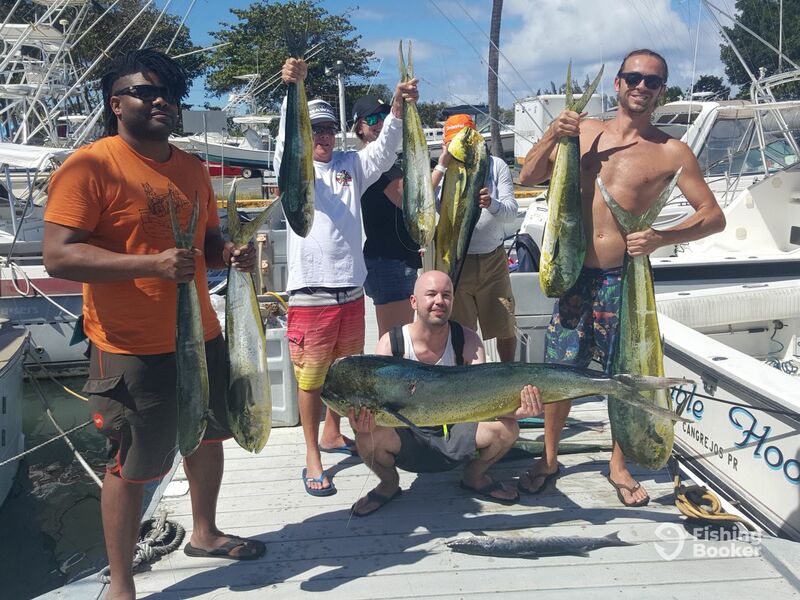 Captain Humberto and his crew of Double Hook Charters, specialize in big game fishing for a range of species that Puerto Rico is known for around the world. 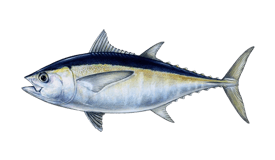 Some of the species the offshore waters of Puerto Rico are abundant with include Billfish (both Blue and White Marlin, as well as Sailfish), Tuna, Dorado, Wahoo, Kingfish and many others. 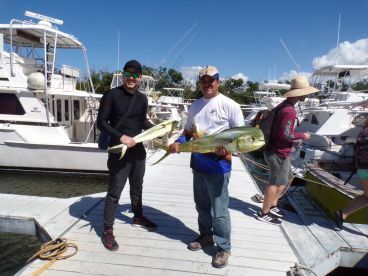 The fishing grounds are located just 15 minutes away from the docks, where you are likely to come across many of the species mentioned above. All tackle and artificial bait are provided by the crew, with a wide selection of 20# to 130# Penn International reels on board to choose from. Snacks, bottled water and soft drinks are provided, along with a cooler with ice. Furthermore, Captain Humberto will cover the fishing licenses for all anglers fishing aboard Double Hook at no additional cost. 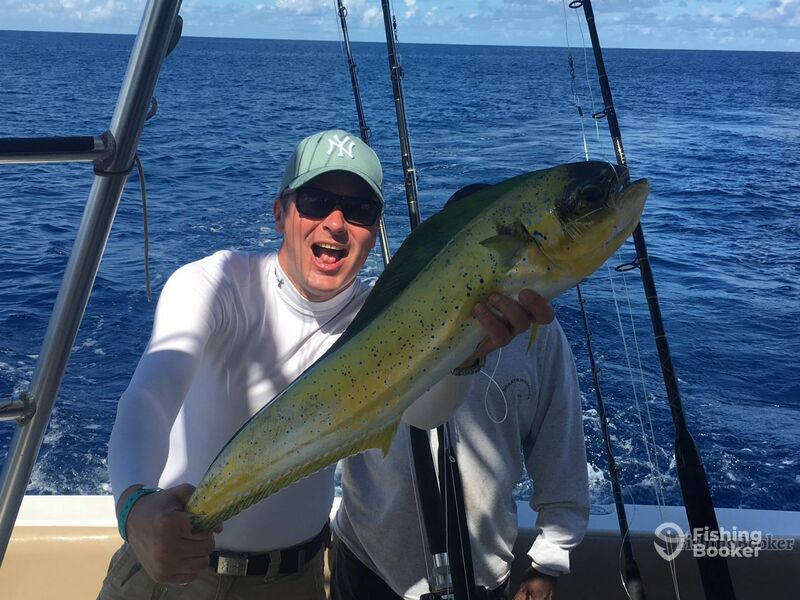 The waters he fish are some of the deepest in the Atlantic ocean! On days the fish are not biting, Capt. Humberto will not only move around to find better places, but will also stay longer on the trip free of charge if he thinks he can get something to bite. 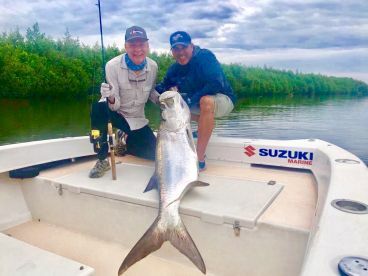 He will do everything in his power to get you on the fish in these water, which have a reputation for being unpredictable, as they are filled with migratory fish. Everyone is welcome aboard- Capt. 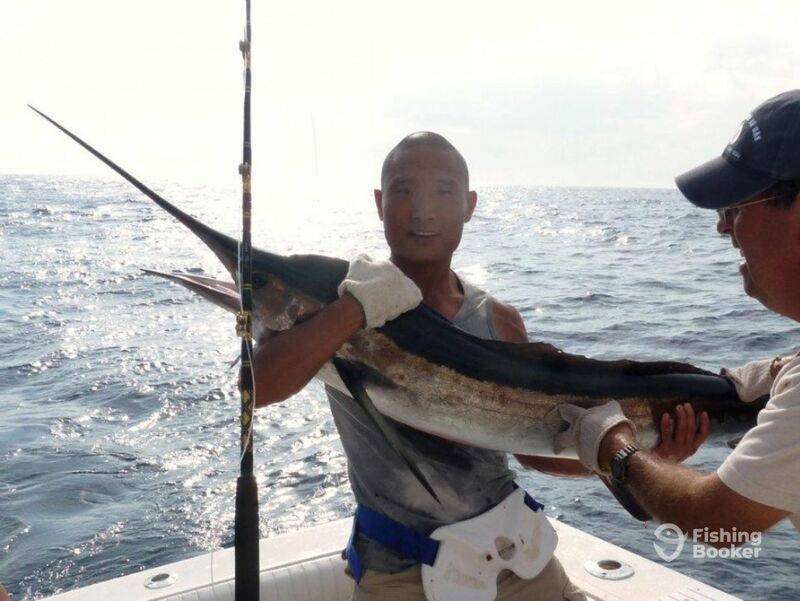 Humberto will show all novices the ropes and make sure you have a great first fishing experience. 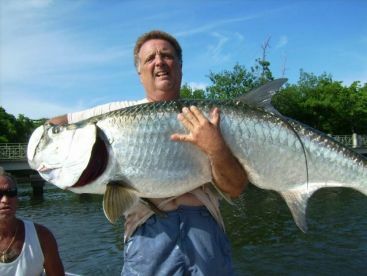 He recommends you begin your fishing journey on a 4 hour trip - in no time you’ll be fishing the deep on full day trips! Experienced anglers have the 12 hour trip to get far out and fish deep. There is something for everyone! 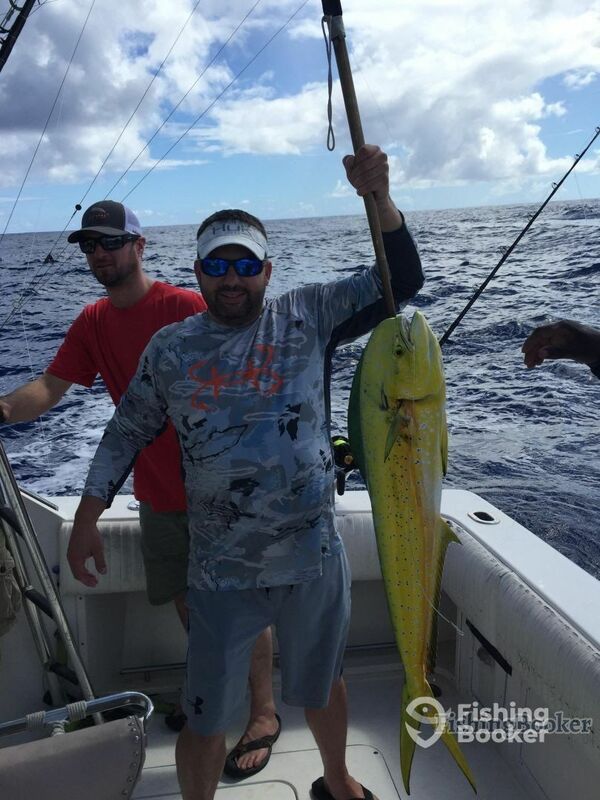 This trip is for experienced anglers, who will travel far for their trophy fish. 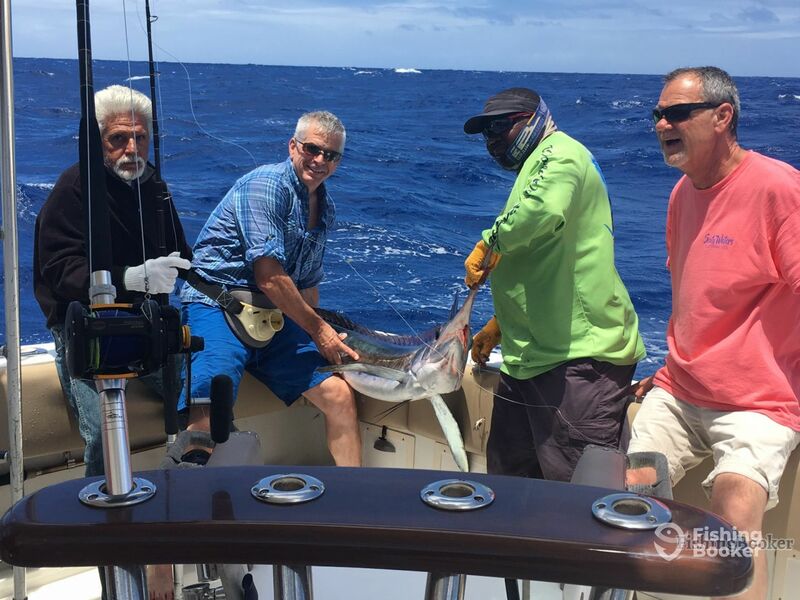 Sailfish, Blue and White Marlin, Kingfish, Wahoo, Tuna and Dorado are just some fish you can expect on this trip. You are welcome to bring your own equipment, but Penn International reels are provided. 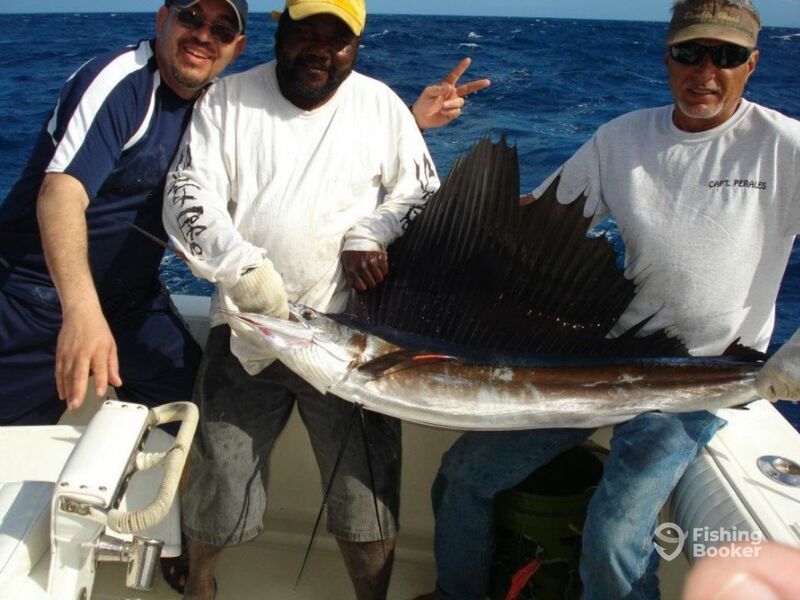 This trip is great for experienced anglers, who want to get far out and fish deep. 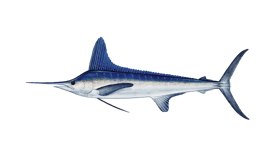 You can expect Blue and White Marlin, Tuna, Dorado, Wahoo, Kingfish and many more! 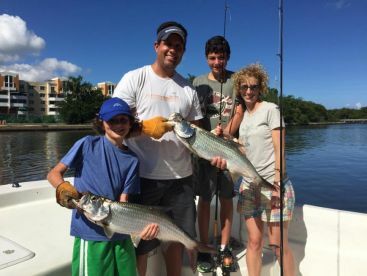 This trip is great for those who have fished before, but are not very experienced. You will still head out between 6-15 miles, and have the extra time to reel in the big game! This is the most popular trip, and great for people of all level of experience. Novices in particular will love this trip. During the summer you will go up to 6 miles out. In the winter, this more than doubles, needing to head out up to 15 miles. 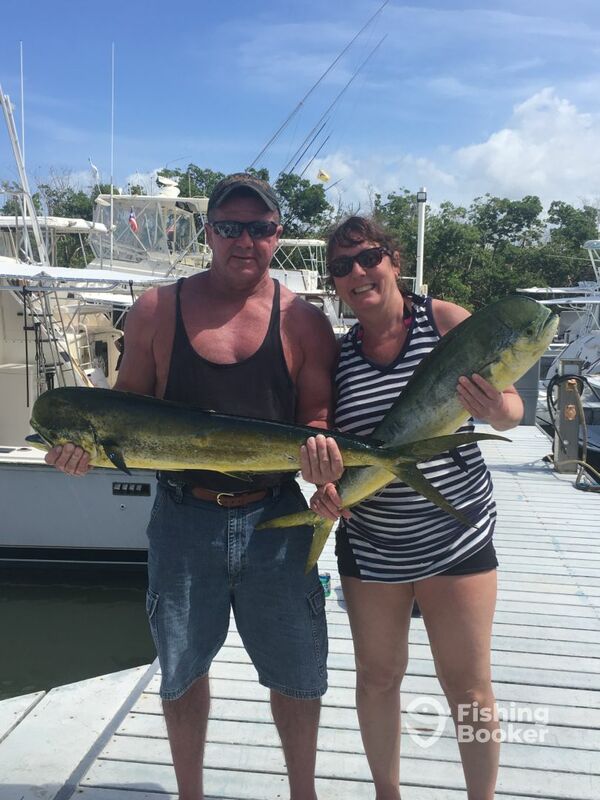 This trip is great for those new to fishing and who struggle to get out of bed in the mornings! In the summer you can expect to reach distances of 6 miles, whereas the winter will see you head out up to 15 miles. Trojan International (Offshore sport fishing) originally built in 1988, and restored in 2010. Powered by 2 450HP Detroit engines. Captain Humberto L. Perales has 25 years of experience as a professional charter captain. He's fished in Florida, the Bahamas, Hawaii, Costa Rica, Venezuela, Trinidad and Puerto Rico. He has competed in many tournaments and won first place at the Wahoo Tournament in Salinas, PR. 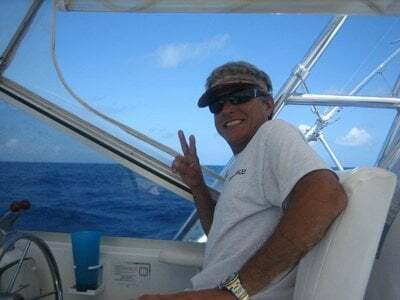 He also came in third at 'Million Dollar', a Blue Marlin Tournament in San Juan, PR. The Captain and crew were AMAZING! We booked a 6 hour trip but unfortunately a couple of us got a little sea sick (highly recommended having motion sickness pills or something) so we chose to cut our trip short. 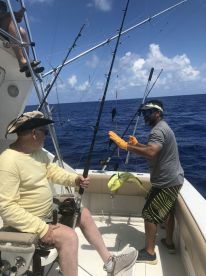 We caught 2 great fish and were pointed in the right direction of a place to have it prepared for us.. because of the language barrier our captain was nice enough to meet us at the place and do the translating for us. It was a great trip and if we ever come back to Puerto Rico we WILL definitely book with them again! Thanks Ivo, I hope you can come in the summer for the blue Marlin season. Its a pleasure to having you on board.Looking forward to see you again, next year for the Blue Marlin season. 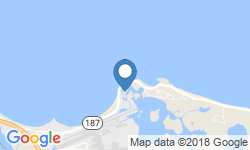 We went on our trip on 2/13/19. Water was choppy and in forsight we should not have gone out. We didn’t see any other boats going out that day. Secondly, the ship has a strong odor of fumes, it made me sick. I would suggest anyone that is highly sensitive to diesel fumes not go on this boat. Captain and crew were great and knowledgeable though we did not even get a bite during the outing likely do to the weather. 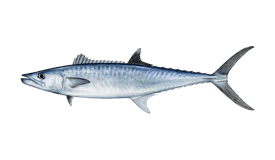 I’ve fished the OBX of North Carolina many many times and caught everything from tuna, rock fish, king mackerel, sea trout and many more. The captain was fantastic. He explained everything that was going to happen and what he expected of us before we left the dock. 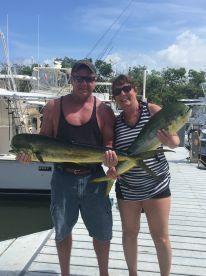 We were fishing within 20 mins of leaving the marina. The water was very choppy and he did what he needed to do to put us on the fish. The first mate did an awesome job changing up the bait so my fiancé could catch her first marlin! Would defiantly recommend!